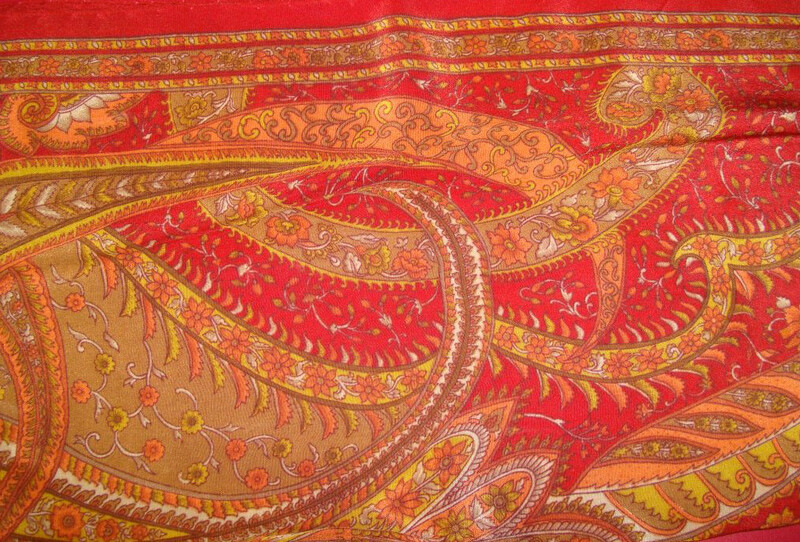 I had this crepe stole with traditional Indian design printed all over it. It has many colours, but red was the background colour. 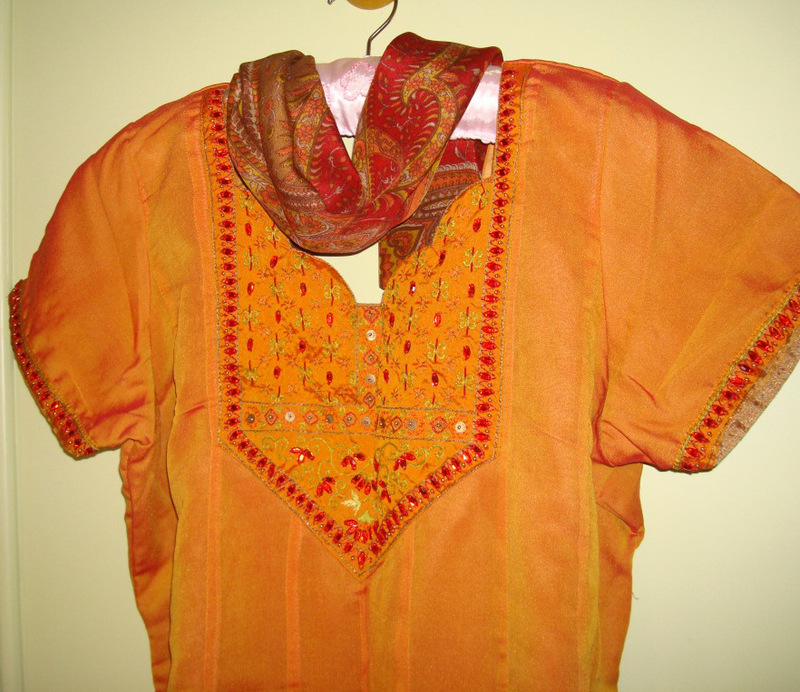 It suited well with t-shirts, plain tunics. Peacock neck[blue/green],tender mango leaf[maroon and green], fenugreek[golden yellow/red],onion[dark pink/cream],berry[nagapazham-violet /brown]. From this point of view, this tunic colour is mango. A packet of red stones also was waiting to be used. 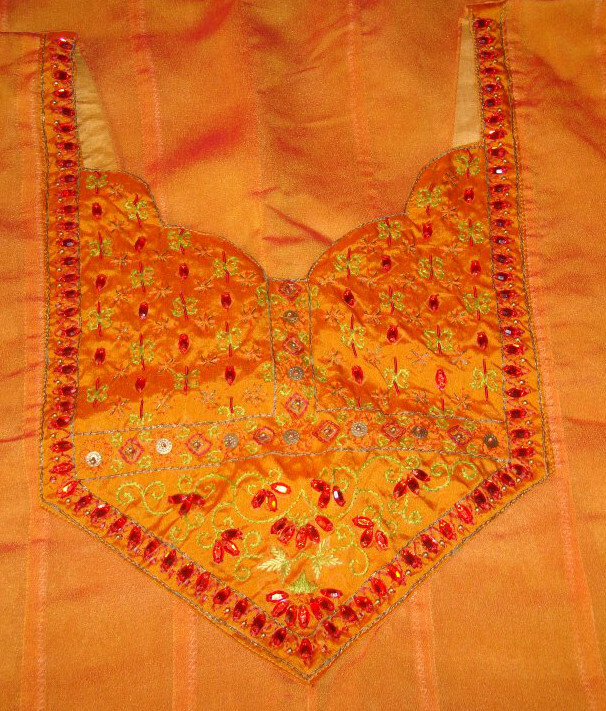 A traditional Indian pattern was drawn for the yoke. 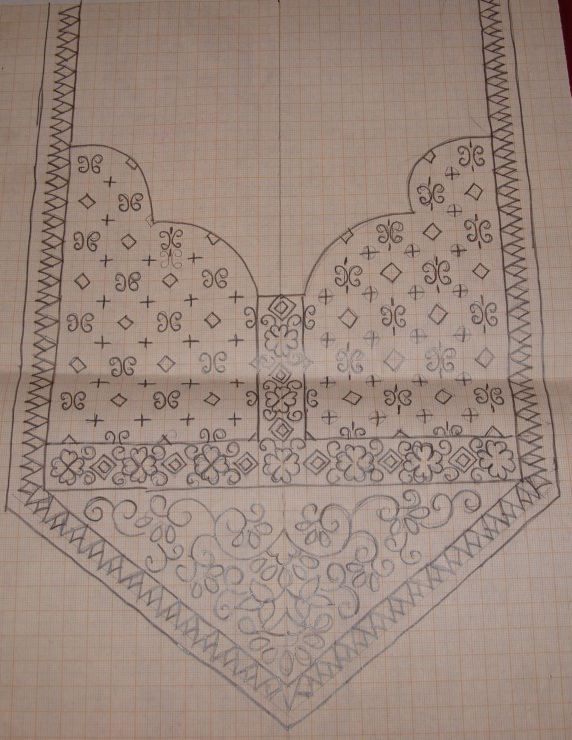 A simple border, where these stones could be incorporated was drawn for the sleeves. The embroidery was worked with red silk and metallic threads.